We are happy to provide you with our clinic articles according to your wishes. If you want the items in a different color, or if you want to have them made to measure, please inform us in the "Order notes" field on the way to the checkout. Gerne fertigen wir Ihnen unser Klinik Artikel nach Ihren Wünschen an. Wünschen Sie die Artikel in einer anderen Farbe, oder möchten Sie sie nach Mass gefertigt haben, teilen Sie uns dies bitte im Feld "Anmerkungen zur Bestellung" auf dem Weg zur Kasse mit. Latex surgical gown with back closure and two side bindings. 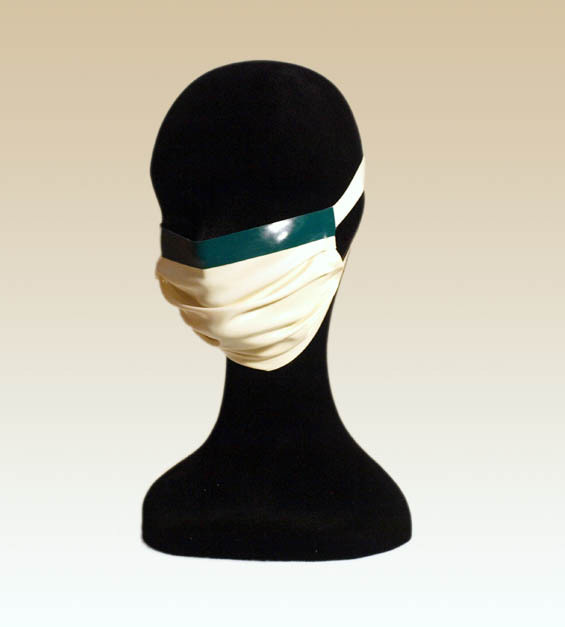 This surgical gown provides protection for the user and the patient. 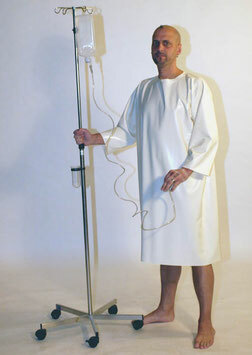 The price includes only the surgical gown without the pants. Latex Scrub consisting of a top with V-neck short sleeves and simple pants with a 4 cm rubber waist band. Latex surgical suit with stand-up collar and two side binding bands. The apron is closed with buttons on the back. Knee long lab coat with stand-up collar and breast pocket. The coat is buttoned with press studs in the front. Simplistic latex patient shirt. Open on the back and held together with a push button. The color you see in this image is white. Facial open latex hood with wide collar part. Zip closure on the back. The color you see on this picture is jade green. 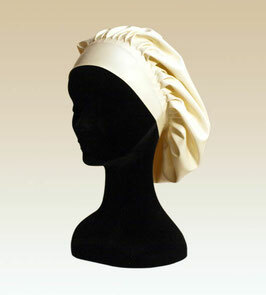 Latex nurse cap with wide headband. 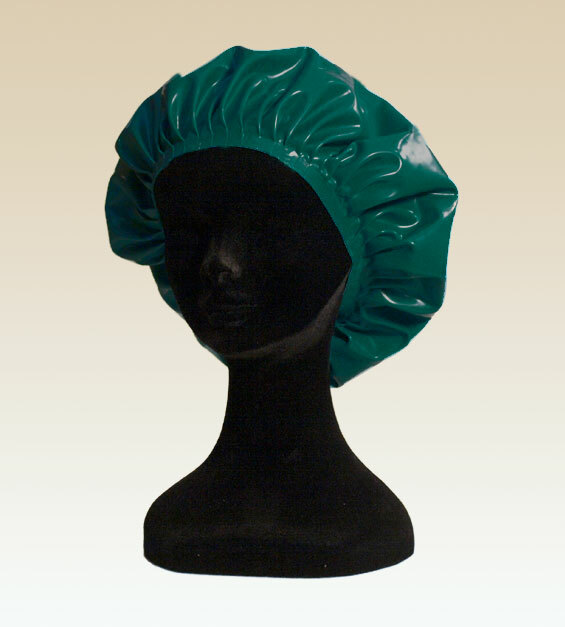 Our Latex bouffant cap tampers your hair in the OR. This two-colored latex mouthguard ensures the necessary hygiene in the OR. The color you see in this picture is Forest Green / White. 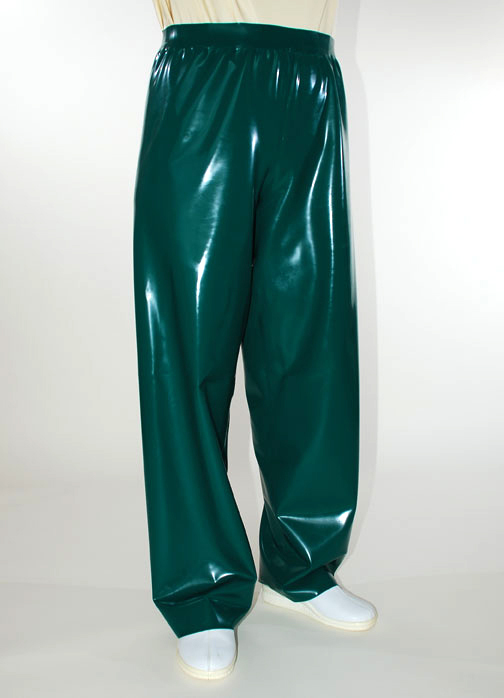 Simple latex pants with 4 cm wide waistband. The color you see on this picture is forest green.